There’s nothing like the feeling of finally holding your freshly printed, new license for the first time. This little hunk of plastic will finally allow you the freedom you’ve been dreaming of for as long as you can remember. But before you head for the open road, take a second to remember these ten tips on driving safety for teens and new drivers! The amount of crazy things that people do while driving is truly astonishing. During an early morning commute, many drivers are spotted putting on makeup or tying their tie. Cell phones are one of the most common distractions, but there are hundreds of other potential disruptions a new driver may face. Most distractions while driving are self-imposed, meaning they are completely preventable. Take control of your environment and safety by getting rid of or putting away things that could potentially distract you while driving. If you’re doing anything besides driving while you’re behind the wheel of a car, you’re putting yourself, and others at risk. Sometimes simply just driving a car can be dangerous, but when you add risky business into the equation, you have a recipe for disaster. Taking too many risks while driving increases your chance of getting into a crash. Inconsistency and lack of predictability while driving shows disregard for your own safety, and the safety of those around you. Before the next time you go speeding through a yellow light or you change lanes without looking, be more cautious and you could save yourself from having an accident. Experienced drivers know the importance of looking at the road ahead for potential hazards, yet many new drivers do not. Sometimes new drivers get caught in the moment while driving and fail to see dangers in the upcoming road, such as black ice, potholes, or even other cars! One of the most important things a new driver can do to is scan the horizon for dangers ahead that could potentially enter their path. Speeding played a role in over one third of all fatal car crashes among new drivers. A new driver lacks knowledge of how long it will take to stop a vehicle in panic situations. Although your reflexes may be quick, if you need to stop in a split second and you’re speeding, your car may be unable to stop in time. Instead of putting the pedal to the metal, and racing to your destination, leave five minutes earlier to avoid the urge, or the need to speed. When a new driver first gets their license picking up their friends for ice cream might seem like a great idea. Yet this idea might not sound so great to someone who knows that a new teen driver’s risk of being in a fatal car crash increases with each passenger added to the vehicle. Although GDL Laws state that probationary may only drive with one additional passenger, the risk of a crash increases by 44% when adding just that one person. If you add two passengers the risk doubles, add three passengers and the risk of a car crash quadruples. Next time you offer to pick up your friends, remember the additional risk that gets into the car with them. Many new drivers are under the age of 21, making it illegal for them to consume alcohol. Unfortunately this doesn’t stop everyone, and many underage people decide to get behind the wheel after having a few drinks. Because underage drinking is illegal young drivers are less likely to call home for a ride, making them more likely to drive after consuming alcohol. One night of drinking isn’t worth your life, or the lives of others. It’s simple, don’t drive under the influence. Getting stuck behind a car going 10mph under the speed limit isn’t an ideal situation, but it happens to all of us. It is important that you leave enough room in between yourself and the car in front of you, in case you need to stop suddenly. The rule of thumb is when going 50mph; leave at least 3 seconds between your car and the car in front of you. For every 10mph over 50mph, add one second and add another second for inclement weather conditions. Following the car in front of you too closely can potentially lead to a crash if you don’t leave yourself enough time to stop. The first thing that every teen safe driver should do upon entering their vehicle is put on their seatbelt. If you’re driving a newer model car, you’ve been given the gift of an annoying beeping noise that refuses to stop until the seat belt is buckled into place. But many cars lack the luxury of an incessant reminder, therefore leaving all responsibility with the driver. Make wearing your seat belt a good habit by buckling in before anything else, and it could save your life. And remember, it’s the law! Whether a driver is on the way home from a late soccer practice, driving home from the library, or even commuting to work in the morning, driving drowsy can have a major influence on their driving. Do you think cracking open an energy drink or grabbing a cup of coffee will help? Think again. You can’t out caffeinate fatigue. Drinking a caffeinated beverage will only temporarily ward off your sleepiness and once it’s gone, you’ll feel more tired than before. Rest up before you drive to avoid falling asleep at the wheel. Nobody likes to be bullied, especially when we’re in a new situation that we’re not 100% comfortable with. Don’t let the honking of other drivers, or the heavy sighing of your older brother in the passenger seat influence decisions you make while driving. You are the captain of your ship. It’s your choice to decide when to make a turn, or pull out into an intersection. If you’d like some additional information on how to help teach your teen to be a safe driver, we’d love to work with you! Call us at (973) 667-2999 or email us at info@aiskae.com. 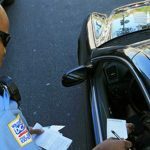 Why Should I Care About a Few Points On My License? We're out teaching students to be safe drivers. Please send us a message and we'll be in touch as soon as possible! I consent to Aiskae Driving School collecting my details through this form.